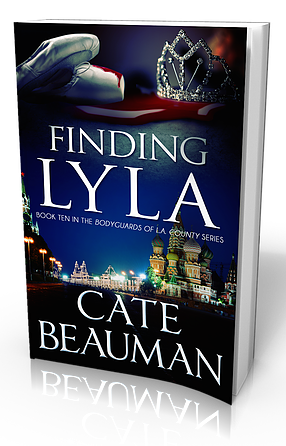 Finding Lyla is the second book I read from the bodyguard series by Cate. While the first book I read was good on the romance , this one scored a lot on the story. This for me is a good political thriller , a story of circumstances that govern a person's life even across continents. 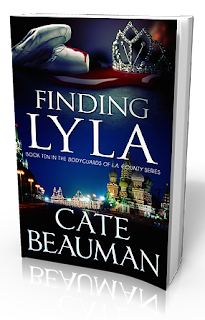 Lyla is an accomplished ballet dancer , the much loved celebrity of Russia because of her mother being a legend there. Her life revolves around making appearances and doing things that are expected of her. On this visit , the political environment in Russia is very volatile and dangerous for her due to her dad's posting as the ambassador from USA. Lyla is no fan of security and to give the people reassurance that she can function alone and like always, she agrees to take a bodygaurd along her. Collin is a no pretention, charming yet tough guy who instantly sees the chemistry with Lyla. But he also choses to wait and let things take their course unless it hurts any one of them. I liked the way this story develops slowly and in a way i could relate to it. It gives a vety fair picture of each of their carrear and the need to find some one who understand our masks. Good writing , good characters and a decent thriller till the end. I liked this one.